Energy, arguably it’s the most important element of any civilization’s infrastructure. Energy companies today are booming, from the traditional oil and gas companies to the clean energy companies using wind and solar technology. While there has been a downturn in the crude oil markets other energy companies are fairing very well. While there are a wide variety of technologies that drive energy production the fact every energy company must face is that the quality of their products, services and overall success is directly tied to the caliber of their employees. Great employees make great companies. Energy companies all over the world have learned that hiring top talent makes a huge difference. Top talent for energy companies cannot be found just anywhere. If it could then being a company recruiter would be an easy job that anyone could do. Those who are involved in recruiting today know otherwise, they are always on the lookout for those “pools” of talent that they can draw from for their companies or for their clients. Successful Energy companies across the United States have found that hiring top military talent helps them meet their corporate mission objectives. Energy companies today are looking for veteran skills such as good communication, self management, self motivation, the ability to organize or be a part of a team solution and problem solving skills… just to name a few. Former military personnel typically have the skills and work ethics that energy companies want and need. Clean Energy companies, like their traditional energy counterparts, leverage the skills, talent and experiences of about a quarter million military personnel who transition annually from military to civilian service. Energy companies benefit also from the inherent resourcefulness and experience of just over one million members of the National Guard and Reserve. These service members are engaged in their civilian careers at the same time they serve in the military. Additional Reading: How one company is using top military talent in the clean energy industry. If your company or organization is serious about employing top talent and achieving mission success Forward March Inc. (FMI) has your solution. There are lots of options when looking to an outside organization to assist with your recruiting needs but at the end of the day cost and the quality of your job candidates are most likely your top concerns. FMI makes your job of recruiting easier through a variety of services and scalable solutions we can bring to your organization. FMI is committed to our customers. We know that making the decision to hire veterans can be intimidating. Contact us for a no pressure conversation on how we can help. We can get you started hiring veterans immediately and do it at a cost you can afford! Forward March Inc. stands ready to work with your company to build a highly motivated, diverse, energetic and strong workforce. We can not only bring you a strong veteran talent pipeline, we can also provide the training for those veterans that your company needs in order to hire them. Our training programs are highly successful, built on a proven model that gives us the ability to train anywhere and often in a fraction of the time that other institutions would take. Mobility and Portability, that is the Forward March Inc. difference. We provide Veteran Training and Certification at Your Location and on Your Schedule. The training programs that we employ are customized to meet your specific needs. 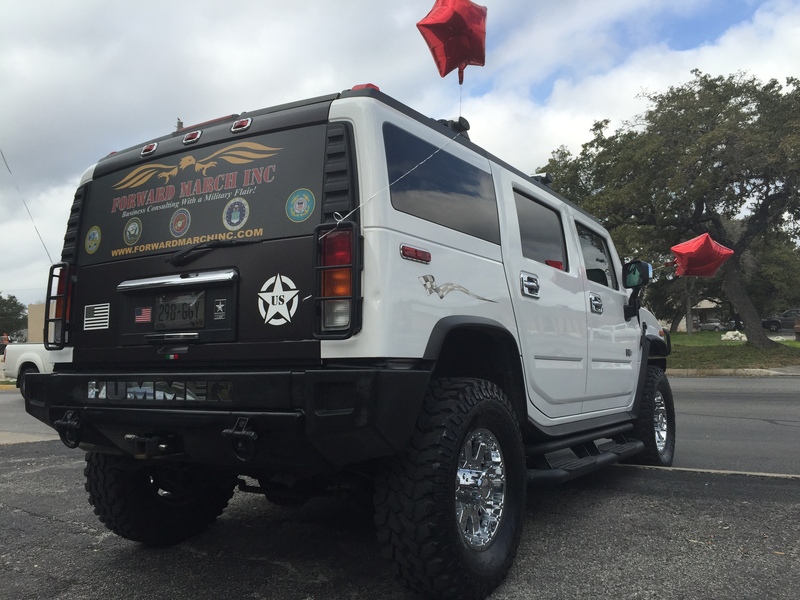 Forward March, Inc. (FMI) is a Service Disabled Veteran-owned Small Business (SDVOB) based in San Antonio, Texas. 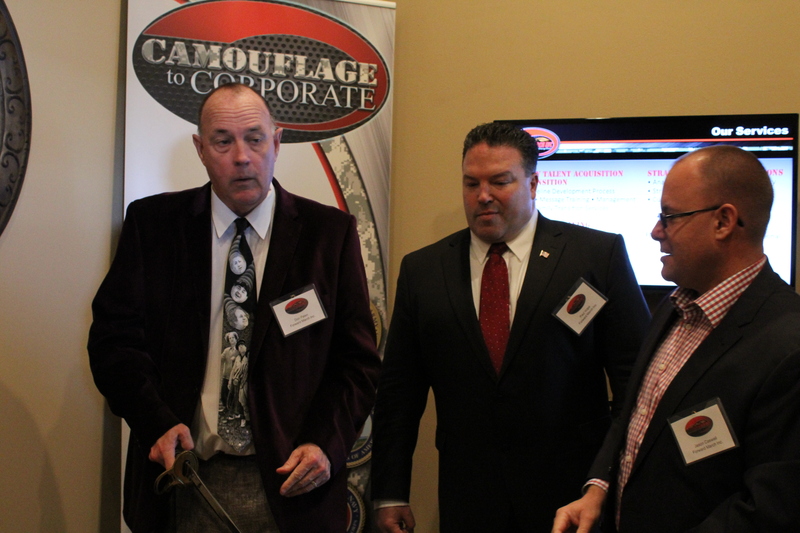 FMI has over three decades of collective experience bringing businesses and veterans together. We are proud to partner with Goodwill’s Good Careers Academy to form The Heroes Career Academy. This unique academy provides custom training and certification programs for companies who want to hire high quality military talent. Our programs are customizable, scalable and provide mobility and portability. Contact Forward March Inc. Today to find out how to get started with your veteran talent pipeline trained to meet your needs. 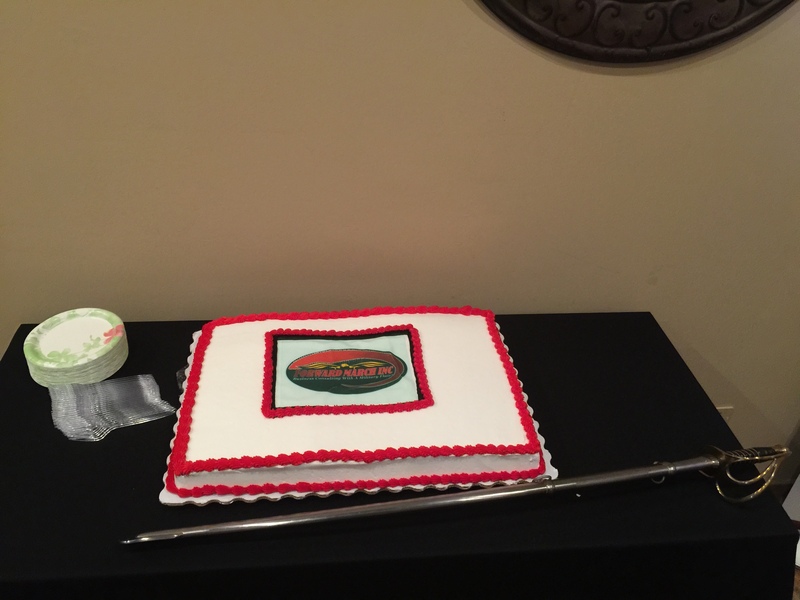 High Quality Military Talent – Forward March Inc. Has What You Need! If you are looking for high quality talent for your company or organization then give Forward March Inc. a call today. We help companies and organizations every day find, attract, hire and retain high quality military talent. What you may not know however is that we also have veterans ready to go to work for you immediately. Forward March Inc. receives input and then pre-screens veterans daily who are looking for a veteran friendly company to start a career with. No matter your skill or education requirements for your position we can help you. 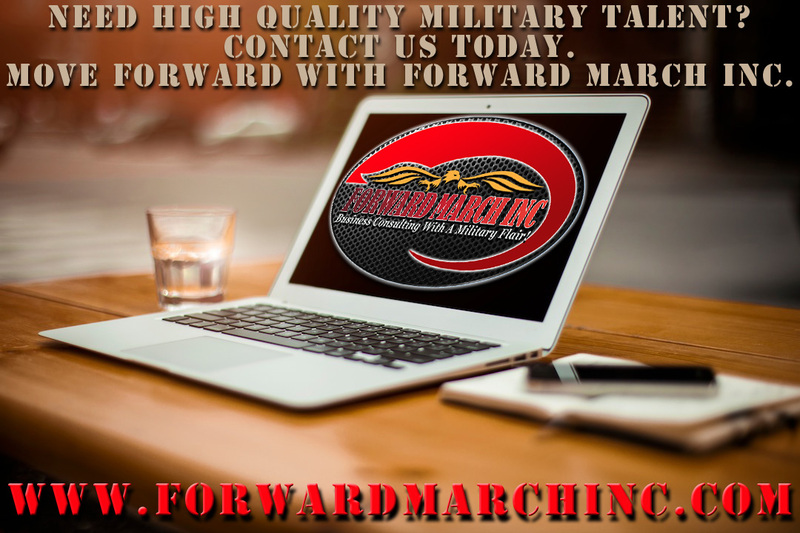 If you are a veteran of the United States Military or are transitioning out of the Military make sure to contact Forward March Inc. as part of your employment track. Go here to fill out our employment information form and an FMI representative will contact you soon. If we do not have an open position with one of our customers we will work to find another company to try to place veterans with. If you are a transitioning military person or a veteran be sure to check out our Tools and Resources page to learn more of what you can do to find and land that great career you are looking for. Forward March Inc. has an official non-profit 501c3 part of our organization known as Forward March Inc. Operation Outreach. Under our Operation Outreach we have a variety of programs. 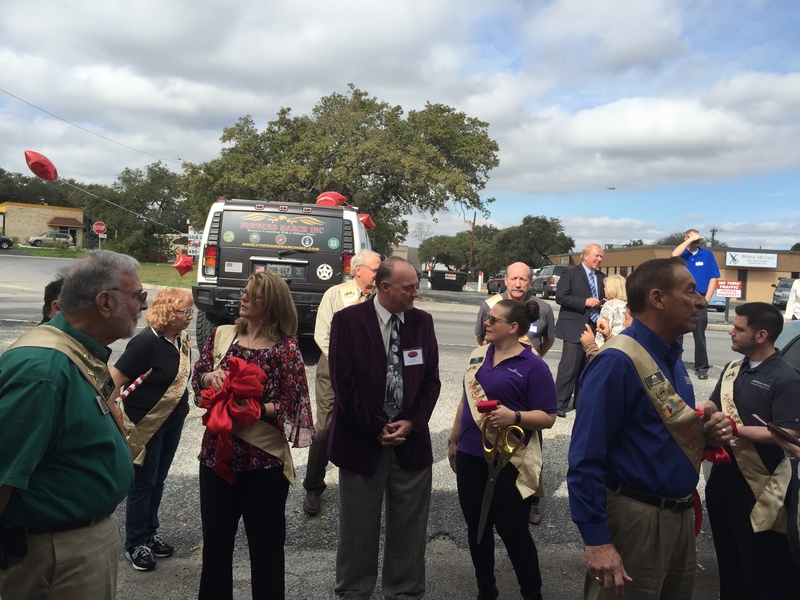 First things first, we would like to thank everyone who came to our ribbon cutting ceremony yesterday. 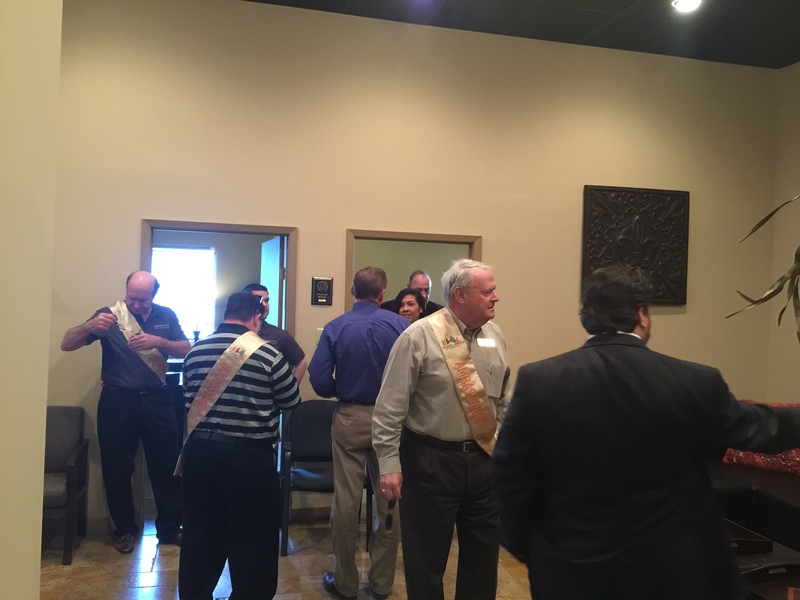 Special thanks goes out to the to the San Antonio Chamber of Commerce and the outstanding Chamber Ambassadors! 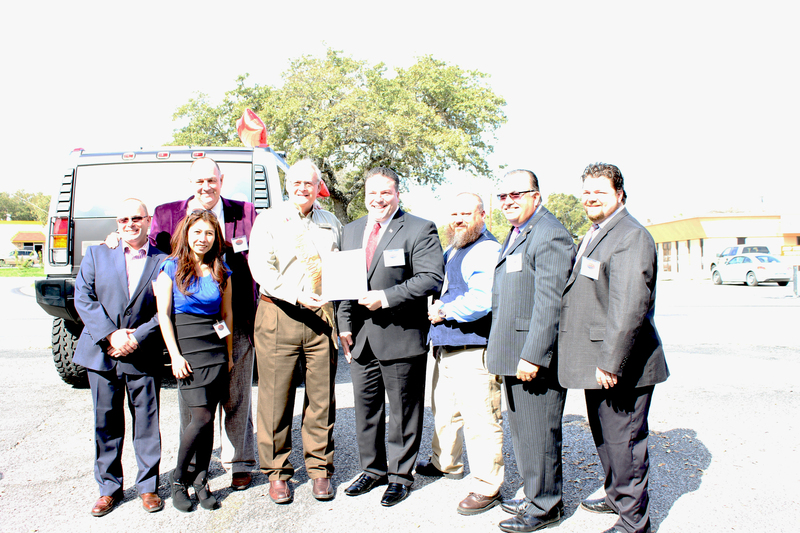 Thank you to all of you who share our vision of helping veterans and making San Antonio the model for military hiring and military transition! In the life of any business there are days that mark significant milestones. 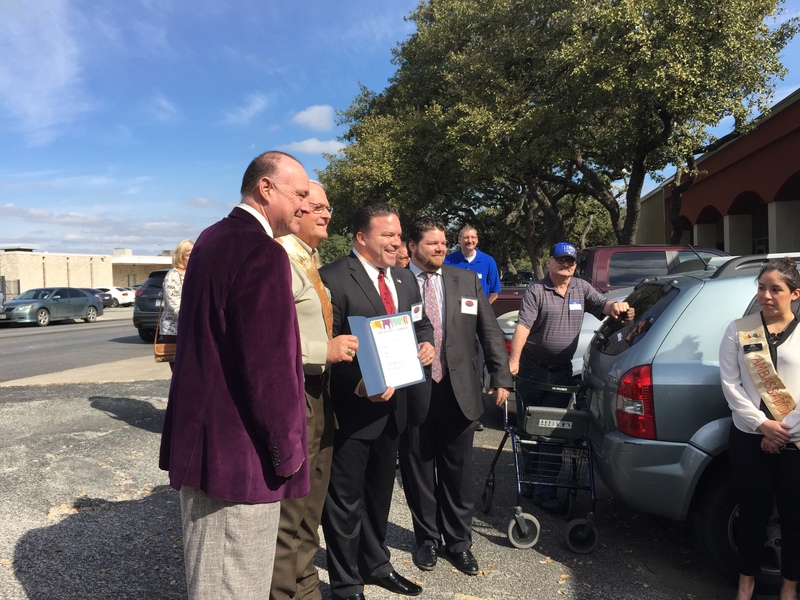 When we became a member of the San Antonio Chamber of Commerce we knew we would want to do an official ribbon cutting ceremony at our new offices. 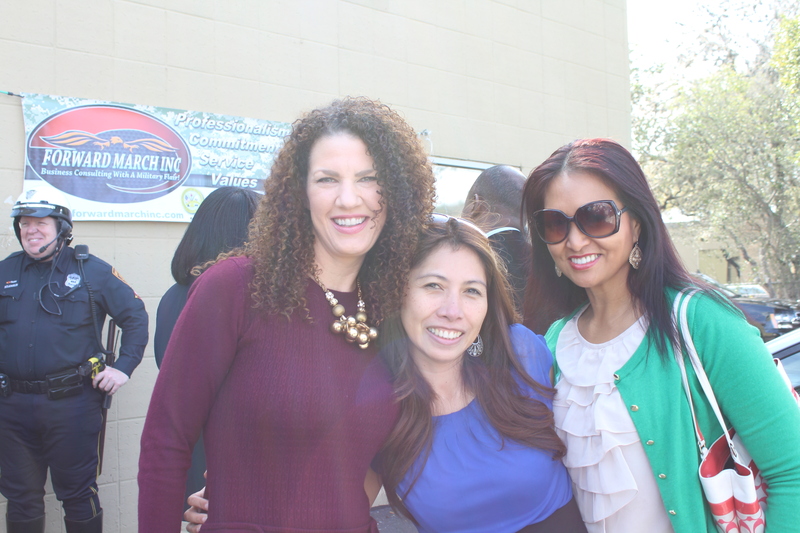 Yesterday the San Antonio Chamber of Commerce sent out their ambassadors to the Forward March Inc. worldwide headquarters and helped us have a very successful ribbon cutting event. The weather was perfect. The opportunity for us to share this important event is very important to us. Below are some highlights of the event. Be sure to head over to our Facebook page for a LOT more pictures. Ahhhh the sweet smell of success. Its January 29th, mid 70s and just perfect weather. You have to love winter in San Antonio Texas! Team FMI! We are veterans helping veterans. Thank you San Antonio Chamber of Commerce for making this day special! Stay tuned for event highlights and pics. Is your business model firing on all eight cylinders? Do you see areas where you know there needs to be improvement but are not sure how to get there? Forward March Inc. can help you navigate even the most difficult business terrain. 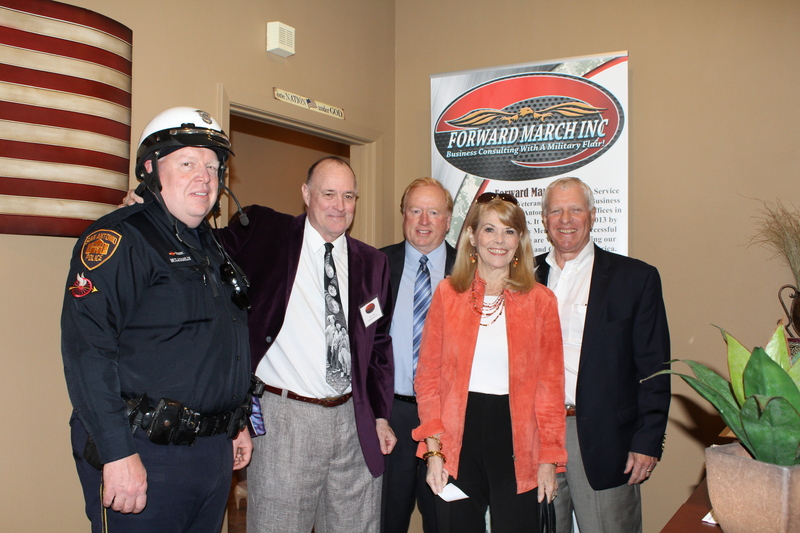 Forward March Inc. has also conducted training for Fred Astaire Dance Studios, VTG, and many other companies. Forward March Inc. stands ready to provide outstanding Strategic Business Solutions for your company or organization. Contact us today to learn more.